Researchers at the Max Planck Institute for Evolutionary Anthropology in Leipzig, Germany, have sequenced the genomes of five Neandertals that lived between 39,000 and 47,000 years ago. 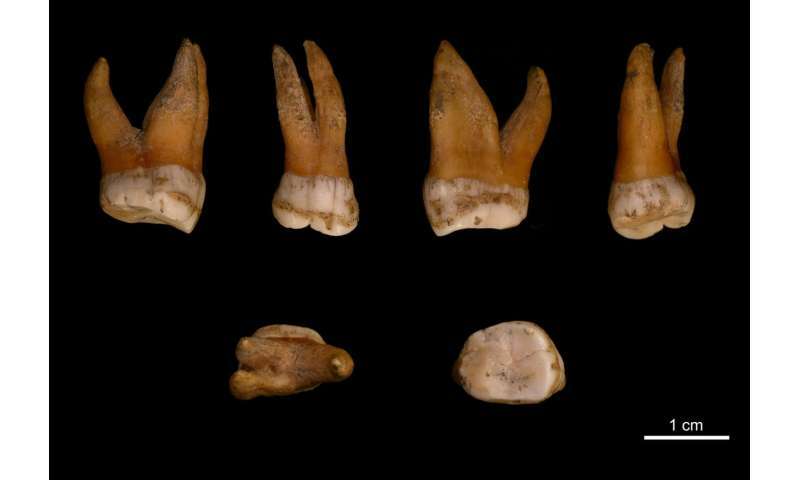 These late Neandertals are all more closely related to the Neandertals that contributed DNA to modern human ancestors than an older Neandertal from the Altai Mountains that was previously sequenced. Their genomes also provide evidence for a turnover in the Neandertal population towards the end of Neandertal history. Having genomes from multiple Neandertals allows the researchers to begin to reconstruct Neandertal population history. "We see that the genetic similarity between these Neandertals is well-correlated with their geographical location. By comparing these genomes to the genome of an older Neandertal from the Caucasus we show that Neandertal populations seem to have moved and replaced each other towards the end of their history", says first author, Mateja Hajdinjak. The team also compared these Neandertal genomes to the genomes of people living today, and showed that all of the late Neandertals were more similar to the Neandertals that contributed DNA to present-day people living outside Africa than an older Neandertal from Siberia. Intriguingly, even though four of the Neandertals lived at a time when modern humans had already arrived in Europe they do not carry detectable amounts of modern human DNA. "It may be that gene flow was mostly unidirectional, from Neandertals into modern humans", says Svante Pääbo, Director at the Max Planck Institute for Evolutionary Anthropology. "Our work demonstrates that the generation of genome sequences from a large number of archaic human individuals is now technically feasible, and opens the possibility to study Neandertal populations across their temporal and geographical range", says Janet Kelso, the senior author of the new study. If you randomly picked 5 late Neandertals the probability that at least one had a homo sapien ancestor could be tiny even if all of them had living homo sapien descendants, even if the flow of genes was equal, but rare, in both directions.